Nutritional inhibitors and toxic substances found in nuts and seed can be minimized or eliminated by soaking. These inhibitors and toxic substances are enzyme inhibitors. Tannins are naturally occurring plant polyphenols. Their main characteristic is that they bind and precipitate proteins. They can have a large influence on the nutritive value of many foods eaten by humans and feedstuff eaten by animals. Remember, these polyphenols do have a purpose in nature. The antimicrobial activities of tannins are well documented. The growth of many fungi, yeasts, bacteria, and viruses was inhibited by tannins. Why soak nuts, grains and seeds? 1. To remove or reduce phytic acid. 2. To remove or reduce tannins. 3. To neutralize the enzyme inhibitors. 4. To encourage the production of beneficial enzymes. 5. To increase the amounts of vitamins, especially B vitamins. 6. To break down gluten and make digestion easier. 7. To make the proteins more readily available for absorption. 8. To prevent mineral deficiencies and bone loss. 9. To help neutralize toxins in the colon and keep the colon clean. 10. To prevent many health diseases and conditions. Soaking allows enzymes, lactobacilli and other helpful organisms to break down and neutralize a large portion of phytic acid in grains. Soaking in warm water also neutralizes enzyme inhibitors, present in all seeds, and encourages the production of numerous beneficial enzymes. The action of these enzymes also increases the amount of many vitamins, especially B vitamins. What can be used to soak nuts and seeds? There are many references to soaking nuts, grains, and seeds in water, salt water, or water mixture with baking soda. It seems within 7 to 24 hours the enzyme inhibitors are neutralized and the anti-nutrients are broken down regardless of the method you choose. There is evidence that the process works when you see sprouting begin. 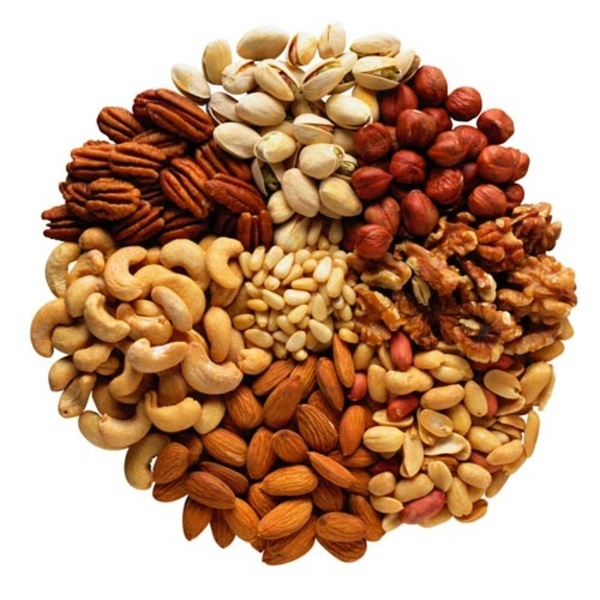 Nuts are easier to digest, and their nutrients more readily available, if they are first soaked. Soaking the nuts and seeds in water neutralizes the enzyme inhibitors and can increase the vitamin and mineral content. Mold and other mycotoxins or aflatoxins are known to be on some nuts, grains, and seeds. It may be a good idea to soak your nuts, grains and seeds in a dilute solution of baking soda for an hour, after that rinsing them and placing them in regular filtered or distilled water. You will need to rinse them off in filtered water before using. The water generally turns brown when the nuts are being soaked. It takes at least 7 (seven) hours to properly break the phytic acid and enzyme inhibitors se compounds down. I have soaked for as little as 7 hours and as long as 48 hours after initially washing them with the baking soda solution. Almonds –Are a good source of protein, vitamin E, manganese, magnesium, copper, vitamin B2 (riboflavin), and phosphorus. Almonds are also concentrated in protein; a quarter-cup contains more protein than the typical egg. Although one-quarter cup of almonds contains about 18 grams of fat, most of it (11 grams) is heart-healthy monounsaturated fat. Eating almonds can lower bad cholesterol, reduce the risk of heart disease, provide protection against cardiovascular disease and diabetes, boost energy, and help prevent gallstones. Whole almonds (with skins) provide the most heart-healthy benefits. Cashews – Are high in antioxidants and have a lower fat content than most other nuts; additionally, 75 percent of their fat is unsaturated fatty acids. Cashews are also a good source of monounsaturated fats, copper, and a good source of magnesium and phosphorous. 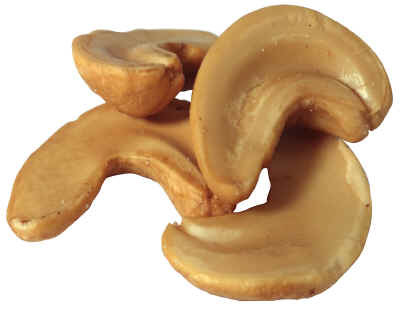 Eating cashews promotes good cardiovascular health, even in individuals with diabetes. Flaxseeds – Also known as linseeds, are an excellent source of omega-3 fatty acids. Flaxseeds may provide anti-inflammatory benefits, protect your bones, and protect against heart disease, breast cancer, and diabetes. 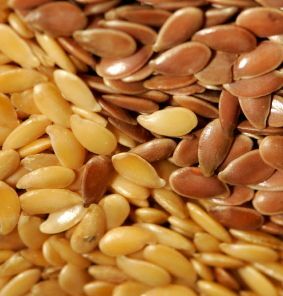 Eating flaxseeds also lowers blood pressure in men with high cholesterol. Flaxseeds are also rich in fiber and manganese and are a good source of folate, vitamin B6 (pyridoxine), magnesium, phosphorous, and copper, and lignan phytonutrients. You’ll need to grind them up first (or purchase ground flaxseed) to gain the most nutritional benefits. Peanuts – Are a good source of heart-healthy monosaturated fat, flavonoid (resveratrol), antioxidants, phytosterols, phytic acid (inositol hexaphosphate), and folic acid, making them heart-healthy, a good way to reduce your risk of stroke, and possibly even cancer. Peanuts are also a good source of vitamin B3 (niacin), folate, copper, manganese, and protein, and are a significant source of resveratrol, a chemical studied for potential anti-aging effects. Peanuts and peanut butter may also help prevent gallstones and protect against Alzheimer’s disease. 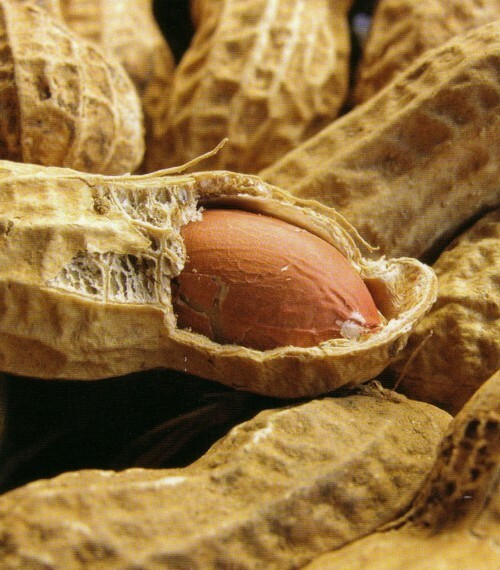 It wise to ensure that peanuts, especially raw ones, are stored in a cool, dry, environment (such as a refrigerator or freezer), as an extremely toxic and highly dangerous fungus (aflatoxin) can easily grow on peanuts when the temperature is between 86-96°F (30-36°C) and humidity is high. 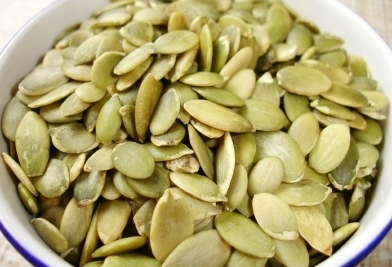 Pumpkin seeds / pepitas – Eating the green, hulled, pumpkin seeds (also called pepitas) may promote prostate health, protection for men’s bones, anti-inflammatory benefits for those with arthritis, and help lower cholesterol. Pumpkin seeds are a good source of the essential fatty acids, potassium, phosphorous, magnesium, manganese, zinc, iron, and copper, protein, and vitamin K.
Sesame seeds – And tahini are rich in beneficial minerals. Not only are sesame seeds a very good source of manganese and copper, but they are also a good source of calcium, magnesium, iron, phosphorous, vitamin B1 (thiamin), zinc, dietary fiber, and healthy (monosaturated) fats. They contain powerful antioxidants called lignans, which are also anti-carcinogenic. They also contain phytosterols, which block cholesterol production. Sesame contains one lignan unique to it called sesamin. Eating sesame seeds may help lower cholesterol, provide relief for rheumatoid arthritis, and support vascular and respiratory health. 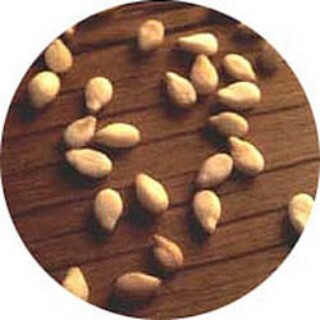 The nutrients of sesame seeds are better absorbed if they are ground or pulverized before consumption. 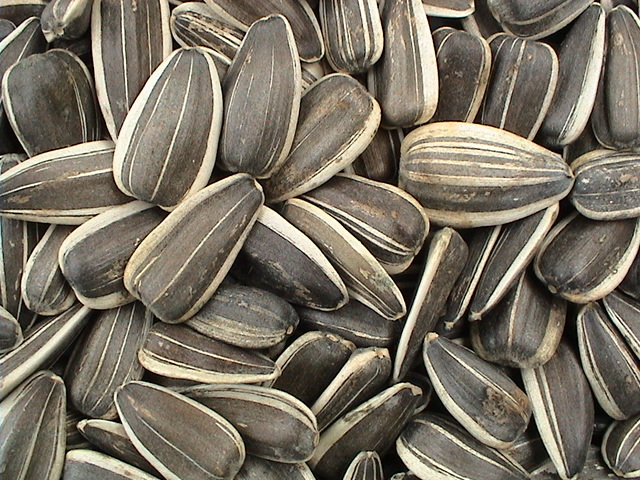 Sunflower seeds – Eating sunflower seeds may help provide anti-inflammatory and cardiovascular benefits, lower cholesterol, and prevent cancer. Sunflower seeds are an excellent source of vitamin E. Sunflower seeds are also an excellent source of linoleic acid (an essential fatty acid), dietary fiber, protein, and minerals such as magnesium and selenium, and are high in cholesterol-lowering phytosterols. 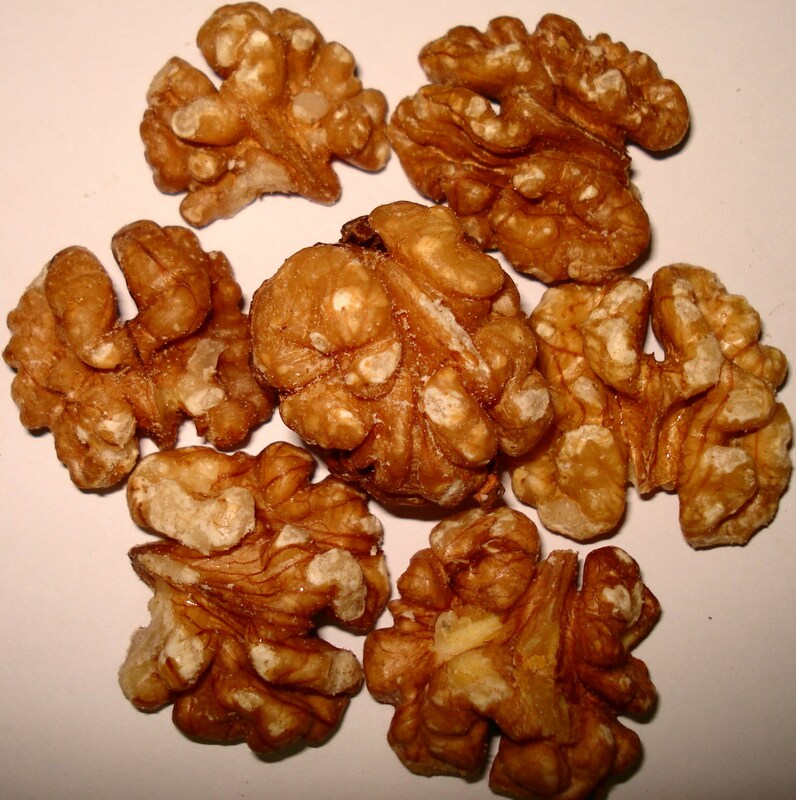 Walnuts – Are an excellent source of omega-3 essential fatty acids. Walnuts are also a good source of manganese, and copper. They are also an important source of healthy (monounsaturated) fats. Eating walnuts may benefit your cardiovascular system, improve cholesterol in individuals with type 2 diabetes, help brain functions, protect bone health, and help prevent gallstones. Walnuts also have bio-available melatonin, which helps regulate sleep.